Outlook Calendar received the most of the updates scheduled to roll out today, though almost none of them are coming to the Android app. For completeness, the full list includes: bill pay reminders (for Outlook.com only), suggested event locations and meeting rooms (for iOS and Windows only), meeting RSVP tracking and forwarding (for Windows and Outlook.com only), and the ability to set start and end times of appointments in multiple time zones (for all platforms) — which might be useful when you're booking a meeting on a long-distance flight, I guess. Microsoft has also updated Outlook Mail, though — again — not all platforms received the same features. On Windows, users will receive a Bcc warning when trying to reply to an email they were Bcc'ed, in case they only wanted to reply to the sender and were about to send an email to everyone else by accident instead. On iOS, Outlook now shows organization directory details for contacts whose company data is connected to Azure Active Directory, so you can see who a contact reports to, their chain of command, and colleagues they work with. On both Android and iOS, Outlook now supports companies that use SOCKS proxies to manage internet access from mobile devices. 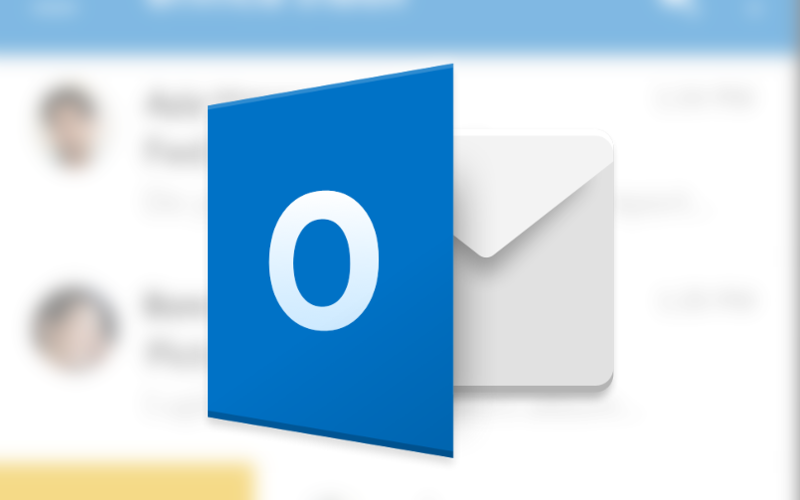 Incredibly, a feature that Microsoft is only now adding to Outlook is the ability to sync email drafts, allowing users to start composing an email on desktop and finish it off on mobile, or vice-versa. It's something that Gmail users have had for so long, it's hard to even call it a feature. iOS will only be able to sync drafts sometime later in May. If the announcement were nothing more than that, it wouldn't be much of an update for Android. Fortunately, Microsoft also revealed several features that are in the works and are coming soon to Android. In May, Outlook's Android app will be upgraded with Office Lens integration directly from within the app. Office Lens already exists as a standalone app and works as a great way to scan and enhance documents using your smartphone and without having to rely on a hardware scanner. May will also see Outlook for Android get what Microsoft calls quick reply support: this isn't the same thing as Android's 'direct reply' API, but instead lets users reply to an email message while keeping its content in view at the top of the screen. Outlook on Android will also soon be able block external content, such as embedded images, which can often be used by marketers to track if and when you open an email. Finally, in June, Android users will be able to tag and sync favorite people, highlighting their messages in the inbox. For company-managed devices, companies will soon be able to better enforce their data security and compliance policies by allowing a single office 365 account in Outlook, potentially avoiding those awkward situations when you accidentally reply to a professional email using your personal email address. The update doesn't appear to be live in the Play Store yet, but you can keep an eye on the Office 365 roadmap to figure out when it and other upcoming Outlook features roll out.